Just take a listen to Jonas Blue & Arlissa's new jam Hearts Ain't Gonna Lie which just arrived via Tropical House Records. Also, you can check out the lyrics here. While UK singer Arlissa has been quiet in the past years, she is now back with a brand new collaboration with Jonas Blue, an electronic track released via Tropical House Records. 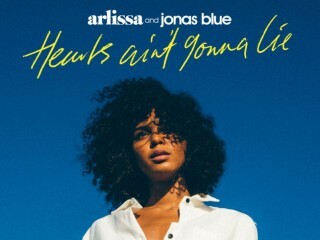 Titled "Hearts Ain't Gonna Lie" the song will definitely become a knockout, with Arlissa's vocals kicking just perfect on Jonas Blue's production. Just take a listen to the new track below.